Foldable screens are a new trend in technology. We’ve seen the concept with various patents from Microsoft, and in action in real-life with Samsung’s smartphone, but Lenovo, too, is getting in on it. 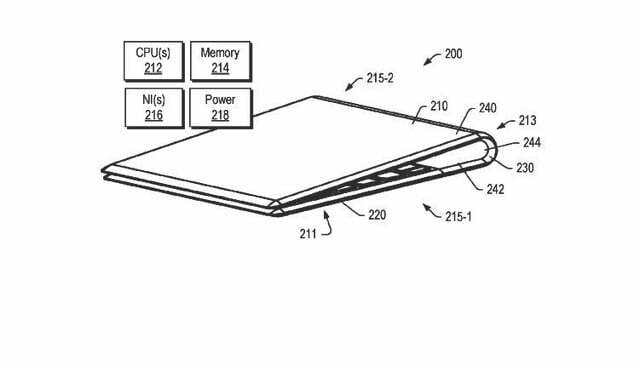 The company filed a patent for a device with a foldable display, hinting at a future where your laptop screen can bend in half. 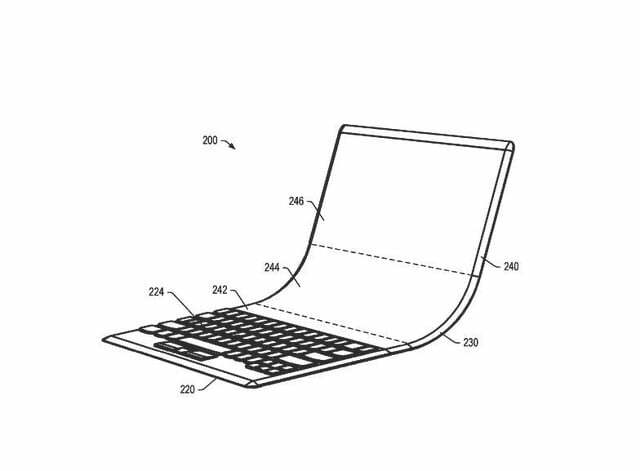 Filed on July 6, 2017, the patent for “Device with Foldable Display” describes a laptop and notebook with a display and keyboard housing with a fold region. 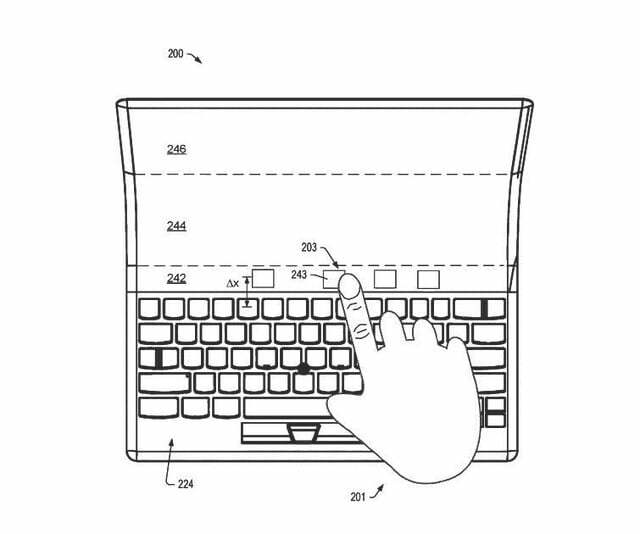 Lenovo’s patent provides various images showing a would-be folding device in action. In one instance drawings of a keyboard and display, housing are both provided, showing that they can be pivoted to each other. It also is explained that the display could be longer than 50 percent of the end length of the device, with the fold region being adaptable via a watchband-style hinge. Naturally, touch is supported too, where the end consumer can extend their fingers from an integrated keyboard to interact with the folding display. “The device can transition from the closed orientation to the open orientation via curvature of the fold region. The fold region can define a radius of curvature for the closed orientation of the device and can define a radius of curvature for the open orientation of the device. 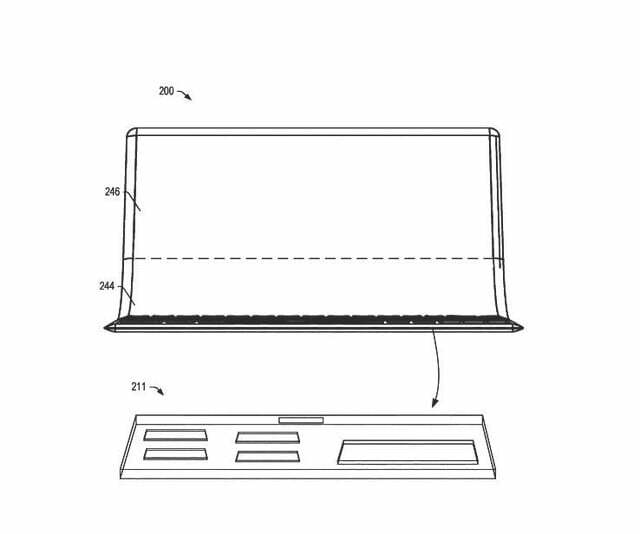 The device may be referred to as an asymmetrically folding display device because the display has the portion that spans the fold region,” Lenovo explains. Additional portions of the patent explain how an end consumer can use said the foldable device, mentioning that viewing angles can be anywhere between 40 to 50 degrees within eyesight. Lenovo goes as far to detail that the folding display could support the re-emerging OLED technology seen in some laptops at CES 2019. Finally, since the folding display has a gap, magnets creating a “gripping angle” similar to a tennis racket are also key areas of the would-be future device, ensuring that it stays closed and is comfortable during transport. Of course, these patents don’t always hold up to become an end product, but it wouldn’t be the first time that Lenovo has come up with a fairly unique device. Lenovo previously released the Yoga Book, which featured an E Ink display on the bottom, and a traditional touchscreen on the top. An updated version of that same device was just released, the Yoga Book C930.